A gallery not the first thing you think of when you think of mathematics? Well, you’ll think again when you see that the Science Museum has teamed up with architect firm set up by the late Zaha Hadid for the new David and Claudia Harding Gallery to create a fittingly fluid and geometrical space to tell the story of mathematics. This new wing of the Science Museum is due to open on 8 December 2016. Earlier this year Zaha Hadid died at the age of 65. You can see her mark in London in the Serpentine Sackler gallery and the Olympic Aquatics Centre. This new project was one of the last of a long line of the visionary Iraqi architect’s extraordinary designs. 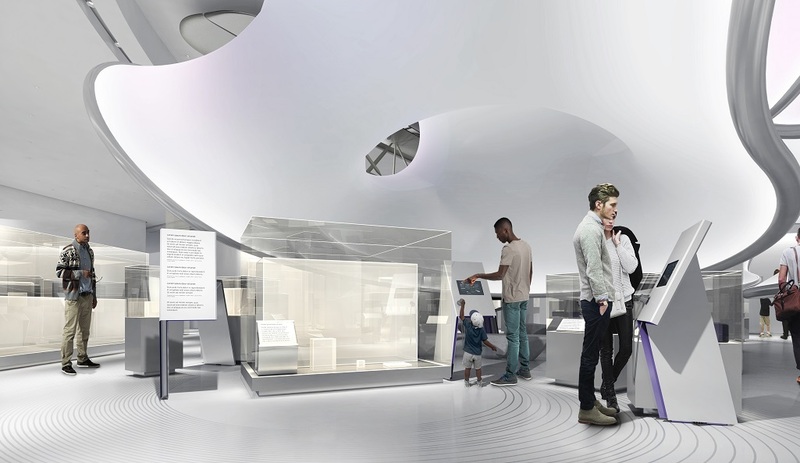 This new Science Museum gallery will be built posthumously in Hadid's name, based on her designs. It’s a space that attempts to visualise at abstract nature of airflow. The inspiration comes from imagined movement as air is displaced and spiral off a 929 Handley Page 'Gugnunc' aircraft. As with all of Hadid’s designs, the concept is a launch pad for sensuous curves, to create a bright light space that is laden with meaning. 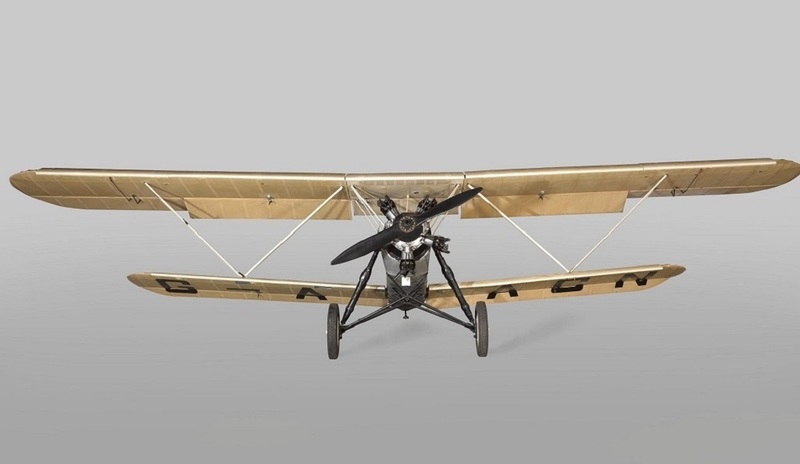 The aircraft is the largest of over 100 objects that will be featured in the gallery to celebrate how mathematics has brought ingenuity into our lives. There will also be an early example of the Enigma machine, made famous by the 2015 film and a decorated tankard from 1701 that looks like it held delicious ale but is used here to show the standardisation of measurements. Important to get that perfect pint. Hadid's vision continues, not only to create new landmarks in the capital, but to remodel our institutions. Here it shapes how the Science Museum tells this important story about our past, and with it the way we see our world. We can't wait to visit.